Jeane A. Thomas, CIPP/E: Litigation & Trial/E-Discovery & Information Management Lawyer: Washington, D.C.
Jeane A. Thomas is chair of the firm's E-Discovery & Information Management Group and a partner in Crowell & Moring's Antitrust Group. In her role with the E-Discovery practice, Ms. Thomas has managed many types of E-Discovery matters in both government investigations and civil litigation. She regularly counsels clients on Information Governance, including the development and application of effective information management policies, legal hold practices, and E-Discovery response plans. Ms. Thomas is a participating member of The Sedona Conference Working Group 1 on Electronic Document Retention and Production and a member of the Steering Committee for Working Group 6 on International Electronic Information Management, Discovery and Disclosure. She is also a member of the Advisory Board and Faculty of the Georgetown University Law Center Advanced Institute for E-Discovery. She regularly speaks and writes on U.S. and transnational E-Discovery issues, and is a certified Information Privacy Professional, with a focus on European regulation (CIPP/E). Ms. Thomas is engaged in all types of antitrust representations, including mergers and joint ventures, class and other civil litigation, and civil and criminal government investigations. She also counsels clients on a broad range of antitrust issues, including intellectual property and licensing issues, trade association law, the Hart Scott Rodino Act, and pricing and distribution issues. She has focused extensively on the agricultural, telecommunications, technology, chemicals and healthcare/pharmaceuticals industries. Currently, Ms. Thomas is involved in counseling clients on a broad range of merger control and joint venture issues. These representations include major transactions in the agricultural, biotechnology, telecommunications and chemicals, industries. She recently advised DuPont in the proposed acquisition of Pannar Seed by Pioneer in South Africa, which was ultimately approved by South Africa's Competition Appeal Court and the Supreme Court of South Africa.She played a principal role in Cingular Wireless' acquisition of AT&T Wireless, SBC's acquisition of AT&T, and AT&T's acquisition of BellSouth. Throughout her career, Ms. Thomas has always maintained an active docket of pro bono representations. In the past, she has litigated post-conviction death penalty cases in Texas and Virginia in state and federal courts, and she currently represents individuals in post-conviction proceedings in Mississippi and Florida. Ms. Thomas has been recognized by clients and peers as a top lawyer in Chambers USA in Antitrust, and in Chambers USA and Chambers Global in E-Discovery. "SciTech Focus on Blockchain: Antitrust Regulation and Blockchain Technology," ABA Webinar (February 13, 2019). Moderator: Jeane A. Thomas. "Avoiding E-Discovery Accidents & Responding to Inevitable Emergencies," ABA-Antitrust Law 2017 Spring Meeting, Washington, D.C. (March 29, 2017). Presenter: Jeane A. Thomas. "Euro Pass: Accessing Cross-Border ESI," Georgetown Law 13th Annual Advanced eDiscovery Institute, Washington, D.C. (November 11, 2016). Moderator: Jeane A. Thomas. "An Examination of Proposed Amendments to Evidence Rules 803 and 902," The Sedona Conference Working Group 1 Annual Meeting, Atlanta, Georgia (October 28, 2016). Moderator: Jeane A. Thomas. "Preservation and Privacy – Beyond Safe Harbor," 2016 Conference on Preservation Excellence, Portland, Oregon (September 15, 2016). Panelist: Jeane A. Thomas. "When Preservation Goes Wrong," 2016 Conference on Preservation Excellence, Portland, Oregon (September 15, 2016). Moderator: Jeane A. Thomas. "2015 eDiscovery Update: Trends and Developments Under the FRCP and Beyond," American Law Institute Webinar (December 8, 2015). Panelist: Jeane A. Thomas. "Trending Now: #CrossBorder eDiscovery," Georgetown Law 12th Annual eDiscovery Institute, Washington, D.C. (November 19, 2015). Moderator: Jeane A. Thomas. "Competition Investigations: Dawn Raids, Second Requests, Private Damages Cases," Advisory Board and Planning Committee, Law Tech Europe Congress, Brussels, Belgium (October 26-27, 2015). Moderator: Jeane A. Thomas. "Practice before the FTC and the New Model ‘Second Request’: Issues and Challenges," D.C. Bar Litigation Section E-Discovery and Information Governance Committee, Washington D.C. (October 22, 2015). Panelist: Jeane A. Thomas. "Building the Preservation-Ready Organization," 2015 Conference on Preservation Excellence, Portland, Oregon (September 17-18, 2015). Moderator: Jeane A. Thomas. "Global Data Protection and Preservation," 2015 Conference on Preservation Excellence, Portland, Oregon (September 17-18, 2015). Panelist: Jeane A. Thomas. 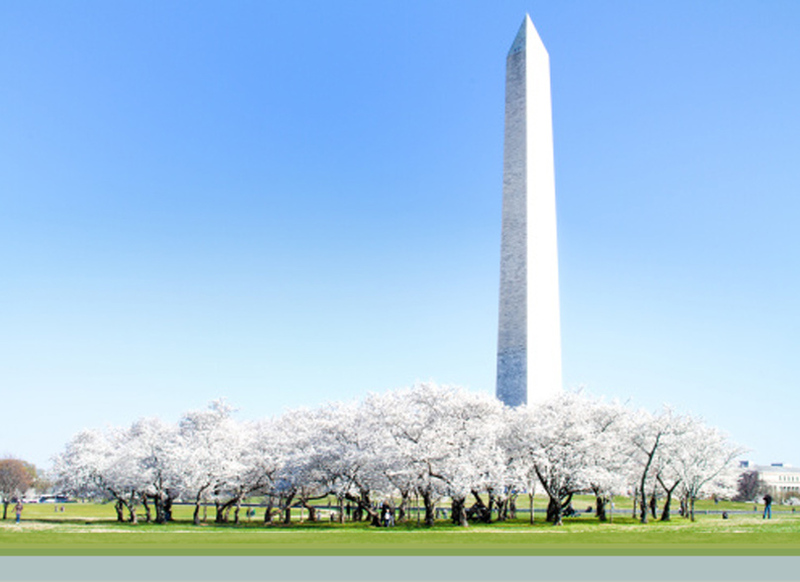 Georgetown Law Center E-Discovery Training Academy, Washington D.C. (June 3-5, 2015). Faculty: Jeane A. Thomas. "Global eDiscovery Update: What’s Going on in the Rest of the World?" The Sedona Conference Working Group 1 Mid-year Meeting, Frisco, Texas (April 29-30, 2015). Discussion Leader: Jeane A. Thomas. "Downloading the Future: Media Mergers and Content Distribution," ABA - 63rd Antitrust Law Spring Meeting, Washington, D.C. (April 17, 2015). Presenter: Jeane A. Thomas. "The Impact of the Proposed FRCP Amendments on In-House Counsel," Bloomberg BNA Webinar (March 31, 2015). Panelist: Jeane A. Thomas. "Government Investigations 2015: The Expanding Role of Electronic Information in Investigations and Responses," PLI, Philadelphia, PA (March 23, 2015). Planning Committee and Moderator: Jeane A. Thomas. "Technology Assisted Review for (Almost) Any Case," The Sedona Conference Institute, Nashville, TN (March 19-20, 2015). Panelist: Jeane A. Thomas. "e-Discovery: Update on Trends and Developments Under the Federal Rules and Beyond," ALI Seminar, New York (December 2, 2014). Faculty: Jeane A. Thomas. "Where Is the Law Taking Us with Technology-Assisted Review?" 11th Annual Georgetown Law Advanced eDiscovery Institute, McLean, VA (November 20, 2014). Panelist: Jeane A. Thomas. 6th Annual Sedona Conference International Programme on Cross-border Discovery and Data Protection Laws, London (July 23-24, 2014). Faculty: Jeane A. Thomas. "Litigation Forecast 2014: Emerging Technologies and the Law," Crowell & Moring Webinar (June 24, 2014). Moderator: David D. Cross; Panelists: Christopher Calsyn, Justin P. Murphy, and Jeane A. Thomas. "The Sedona Conference and ARMA Executive Conference on Information Governance," Amelia Island, FL (April 14-15, 2014). Faculty: Jeane A. Thomas. "Government Investigations 2014: The Expanding Role of Electronic Information in Investigation and Response," PLI Seminar, New York (March 24, 2014). Faculty: Jeane A. Thomas. "Discovery Issues in Federal Agency Litigation: Navigating Privileges, Work Product, FOIA and More," Strafford Webinar (January 14, 2014). Panelist: Jeane A. Thomas. "Reducing Litigation Risk and Expense through Effective E-Discovery Solutions," 25th Annual All Hands Meeting 2013 (December 5, 2013). Presenters: David D. Cross, Beatrice B. Nguyen, and Jeane A. Thomas. "E-Discovery: Will Technology Replace Lawyers, Threaten Fairness? The Impact of Cutting Edge Document Review in the Age of Predictive Analytics," National Press Club Newsmakers Program, Washington, D.C. (April 15, 2013). Panelist: Jeane A. Thomas. "An Open Discussion with Howard Shelanski," Crowell & Moring/Bates White Spring Meeting Lunch, Washington, D.C. (April 11, 2013). Panelist: Jeane A. Thomas. "2012 e-Discovery Wrap-Up: What Happened in 2012 and What Do We Expect in 2013?" Bloomberg BNA Webinar (January 15, 2013). Panelist: Jeane A. Thomas. "Technology Assisted Review: A Year in Review & 2013 Perspectives," Epiq Systems Conference, Washington D.C. (December 19, 2012). Panelist: Jeane A. Thomas. "E-Discovery Case Law Review: 3 Ps for 2013," Exterro Webcast (December 12, 2012). Panelist: Jeane A. Thomas. "E-Discovery Issues in Investigations Before Federal Agencies," Georgetown Law Advanced e-Discovery Institute, Tysons Corner, VA (December 6, 2012). Panelist: Jeane A. Thomas. "Federal Trade Commission E-Discovery Workshop," Washington, D.C. (September 27, 2012). Faculty: Jeane A. Thomas. "Federal Judicial Center E-Discovery Seminar for Federal Judges," Baltimore, MD (September 21-23, 2012). Faculty: Jeane A. Thomas and Justin P. Murphy. "E-Discovery Quarterly Update," ALI Webinar (July 18, 2012). Panelist: Jeane A. Thomas. "Overpreservation in Response to the Duty to Preserve: Fact or Fiction or Both?" Bloomberg BNA Webinar (June 26, 2012). Panelist: Jeane A. Thomas. "Quantitative Methods in Practice: Before Agencies and courts," Bates White Antitrust Conference, Washington, D.C. (June 7, 2012). Panelist: Jeane A. Thomas. "Cost Effective Approaches to Dealing with ESI," American Bar Association Criminal Justice Section 2012 Spring Meeting, Los Angeles, CA (April 13, 2012). Panelist: Jeane A. Thomas. "ESI in the Courts: What Happened in 2011 and Possible Changes in 2012 and Beyond," ALI-ABA Webinar (February 16, 2012). Panelist: Jeane A. Thomas. "Future of the Rules/New Developments," Advanced eDiscovery Institute, Georgetown Law CLE, Washington, D.C. (November 18, 2011). Panelist: Jeane A. Thomas. "E-discovery in Transition: New Trends and FRCP Amendments on the Horizon," ALI-ABA Webinar (October 25, 2011). Panelist: Jeane A. Thomas. Federal Judicial Center E-Discovery Seminar for Federal Judges, Charleston, SC (June 29-July 1, 2011). Faculty: Jeane A. Thomas. "The ‘Ins’ and ‘Outs’ of Electronic Information in Government Investigations," BNA Webinar (June 16, 2011). Panelist: Jeane A. Thomas. "Ethics and Technology in the 21st Century," The Fifth Annual National Institute on E-Discovery: Practical Solutions for Dealing with ESI, ABA Section of Litigation and Center for CLE, Washington, D.C. (May 19, 2011). Panelist: Jeane A. Thomas. "The Electronic Age: How Courts are Dealing with Major Issues – ESI Quarterly," ALI-ABA Webinar (April 13, 2011). Panelist: Jeane A. Thomas. "Managing Electronic Information: Legal Risks Involving the U.S., EC, Hackers and Leakers," IBJ-IJE Seminar, Brussels, Belgium (February 8, 2011). Co-Presenters: Flip Petillion, Thomas De Meese and Jeane Thomas. "The E-Discovery Reality Show: Surviving the Meet and Confer," LegalTech, New York, NY (January 31, 2011). Panelist: Jeane A. Thomas. "Electronic Data in Litigation: Trends and Developments – ESI Quarterly," ALI-ABA Webinar (January 12, 2011). Panelist: Jeane A. Thomas. Advanced E-Discovery Institute, Georgetown Law CLE, Washington, D.C. (November 18-19, 2010); Planning Co-Chair: Jeane A. Thomas; "2010: A Sanctions Odyssey" (November 19, 2010). Panelist: Jeane A. Thomas. Federal Election Commission Seminar on E-Discovery, Washington, D.C. (November 9, 2010). Faculty: Jeane A. Thomas. "The Slippery Slope from Preservation to Sanctions: A Review of 2010’s Major E-Discovery Cases from Pension Committee through Victor Stanley," BNA Webinar (October 13, 2010). Panelist: Jeane A. Thomas. Federal Judicial Center E-Discovery Seminar for Federal Judges, Washington, D.C. (September 27-29, 2010). Faculty: Jeane A. Thomas. "Electronic Data in Litigation: Trends in Discovery and Ethics," ALI-ABA Webinar (May 3, 2010). Panelist: Jeane A. Thomas. "Rimkus Consulting Group v. Cammarata and Pension Committee v. Banc of America Securities LLC: Is it a New Day for Preservation and Collection of ESI?" BNA Webinar (March 23, 2010). Panelist: Jeane A. Thomas. "Cloud Computing & Web 2.0: Discovery Challenges for Lawyers," ALI-ABA Webinar (February 12, 2010). Panelist: Jeane A. Thomas. "Let’s Have A Debate Presentation: The Hottest 'Behind the Scenes' Topics in Search and Retrieval Today," Legal Tech, New York, NY (February 3, 2010). Speaker: Jeane A. Thomas. "Ethics: Professional Obligations in eDiscovery," ALI-ABA Webinar on e-Evidence and Ethics (November 16, 2009). Speaker: Jeane A. Thomas. "E-Discovery and the Health Care Industry," Georgetown Law Center Advanced E-Discovery Institute, Washington, D.C. (November 12-13, 2009). Moderator: Jeane A. Thomas. Sedona Conference on Antitrust Law and Litigation, Sedona, AZ (October 29-30, 2009). Faculty: Jeane A. Thomas. "Ethical Issues for Attorneys in E-Discovery," The Masters Conference, Washington, D.C. (October 14, 2009). Speaker: Jeane A. Thomas. Federal Judicial Center E-Discovery Seminar for Federal Judges, Washington, D.C. (September 10-11, 2009). Faculty: Jeane A. Thomas. "Putting Litigation Back in E-Discovery," BNA Audioconference (July 21, 2009). Speaker: Jeane A. Thomas. "Ethics: Professional Obligations in eDiscovery," ALI-ABA Webinar on e-Evidence and Ethics (June 30, 2009). Speaker: Jeane A. Thomas. "E-Discovery And The Preservation Of Electronic Information For Government Contractors," Crowell & Moring's Ounce of Prevention Seminar 2009 (OOPS), Washington, D.C. (May 27-28, 2009). Speaker: Jeane A. Thomas. "E Discovery: What You Should be Doing Right Now," Department of Energy Contractors Association, Las Vegas NV (May 8, 2009). Speaker: Jeane A. Thomas. "Money Saving Solutions For E-Discovery: Concrete Steps You Should Take Now To Manage Risks & Control Ballooning Costs," Huron Consulting Group Briefing, Washington, D.C. (April 2, 2009). Faculty Member: Jeane A. Thomas. Georgetown Law Center Advanced E-Discovery Institute Training Academy, Washington, D.C. (February 9-13, 2009). Faculty Member: Jeane A. Thomas. "Strategic E-Discovery: Taking Steps to Avoid Litigation's Black Hole," The Knowledge Congress Live Webinar (January 28, 2009). Panelist: Jeane A. Thomas. Georgetown Law Center Fifth Annual Advanced E-Discovery Institute, Washington, D.C. (November 20-21, 2008). Planning Co-Chair: Jeane A. Thomas. "Critical Aspects of E-Discovery Practice," Georgetown Law Center Fifth Annual Advanced E-Discovery Institute, Washington, D.C. (November 20-21, 2008). Panelist: Jeane A. Thomas. "Best Practices for Developing, Communicating and Applying Search Terms," The Masters Conference: View E-Discovery Through the Corporate Veil, Washington, D.C. (October 16-17, 2008). Panelist: Jeane A. Thomas. "Case Law Overview," BNA Legal & Business Edge, E-Discovery for the Enterprise, Washington, D.C. (September 19, 2008). Panelist: Jeane A. Thomas. "E-Discovery in Antitrust Lawsuits and Investigations," Strafford Legal Teleconference (September 4, 2008). Panelist: Jeane A. Thomas. "E-Discovery: An A to Z Workshop," West Legalworks, Washington, D.C. (July 15-16, 2008). Faculty: Jeane A. Thomas. DESI II: Second International Workshop on Supporting Search and Sensemaking for Electronically Stored Information in Discovery Proceedings, University College London, U.K. (June 25, 2008). Keynote Address: Jeane A. Thomas. Federal Judicial Center and Georgetown Law E-Discovery Seminar for Federal Judges, Washington D.C. (June 23, 2008). Faculty: Jeane A. Thomas. "E-Discovery in Antitrust Lawsuits and FTC/DOJ Investigation: Managing and Producing Electronic Information under the Amended Federal Rules," Strafford Legal Teleconference (February 26, 2008). Co-Presenter: Jeane A. Thomas. "Electronic Discovery Collection Technology: Commercial and Government Approaches," Advanced E-Discovery Technology Workshop, Georgetown University Law Center CLE (November 14, 2007). Panel Moderator: Jeane A. Thomas. "Antitrust Update," ABA Corporate Counseling Committee Webinar (October 11, 2007). Presenters: Wm. Randolph Smith, Kent A. Gardiner, Jeane A. Thomas, Robert Lipstein, Christopher E. Ondeck, Bridget E. Calhoun, Daniel A. Sasse, Werner Berg and Thomas De Meese. "E-Discovery in Antitrust Lawsuits and Government Investigations; Electronic Information Management Under the New Federal Rules," Strafford Publications (September 6, 2007). Presenter: Jeane A. Thomas. "Federal E-Discovery Rules: Tips, Techniques and Pitfalls from the Front Line," Virginia State Bar Annual Meeting, Virginia Beach, VA (June 15, 2007). Presenter: Jeane A. Thomas. "Smart Searching: Applying Advanced Review & Retrieval Models to E-Discovery," Kroll Ontrack Electronic Evidence Thought Leadership Series (June 14, 2007). Panel Presenter: Jeane A. Thomas. "Developing Effective Strategies to Address the Challenges Associated with Electronic Evidence," International Association of Defense Counsel, Corporate Counsel College, Chicago, IL (April 19, 2007). Panelist: Jeane A. Thomas. "E-Discovery and Privacy Issues," International Association of Privacy Professionals, Human Resources and International Working Groups, Washington, D.C. (March 9, 2007). Panel Presenter: Jeane A. Thomas. "The Ten Commandments of E-Discovery: Managing ESI and E-Discovery in the New Rules Environment," AT&T Legal Conference, San Antonio, TX (March 1, 2007). Co-Presenters: Jeane A. Thomas and James Michalowicz. "Electronic Discovery Under the New Federal Rules," DuPont Legal Conference, Wilmington, DE (December 14, 2006; January 17, 2007). Presenter: Jeane A. Thomas. "How to Manage Large Document Productions," District of Columbia Bar Litigation Section Brown Bag Program, Washington, D.C. (November 7, 2006). Presenter: Jeane A. Thomas. "Evolving Law Firm Staffing Models," Hildebrandt Law Firm Administrator Conference, Washington, D.C. (October 2006). Presenter: Jeane A. Thomas. "EU Member States to Investigate EU-U.S. Transfers That Rely Solely on Invalidated Safe Harbor: Starting Now," Crowell & Moring's Data Law Insights (February 5, 2016). Authors: Lisa Weinert, Christopher Hoff and Jeane A. Thomas. "2015 Antitrust M&A Year in Review," Crowell & Moring LLP (January 2016). Co-Authors: Wm. Randolph Smith, Olivier N. Antoine, Sean-Paul Brankin, Dr. Salomé Cisnal de Ugarte, Thomas De Meese, Shawn R. Johnson, Lisa Kimmel, Arthur N. Lerner, Mary Anne Mason, Joseph M. Miller, Jeane A. Thomas, Ryan C. Tisch, and Michael G. Van Arsdall. "E-Discovery - Reining in E-Discovery," Crowell & Moring's Litigation Forecast 2016 (January 2016). Contributor: Jeane Thomas. "The Odyssey of Effective Cross-Border Data Preservation," Corporate Counsel (May 15, 2015). Author: Jeane A. Thomas. "Issues in Accessing Foreign Personal Information for Use in U.S. Legal Proceedings," Journal of AHIMA (April 15, 2015). Author: Jeane A. Thomas. "Shifting and Sharing the Costs of Preservation and Discovery," Bloomberg BNA Webinar (November 18, 2014). Panelist: Jeane A. Thomas. "Developing Efficiencies in Information Governance and Electronic Archiving," LTEC2014, Prague (October 20, 2014). Panelist: Jeane A. Thomas. "Legal Holds Without Borders” and “From Mobile to the Cloud," 2014 Conference on Preservation Excellence, Portland, OR (September 11-12, 2014). Panelist: Jeane A. Thomas. "Technology Assisted Review Goes Mainstream," Digital Discovery & e-Evidence, Bloomberg BNA (August 14, 2014). Co-Authors: Jeane A. Thomas and Elizabeth A. Figueira. "Information Governance Takes Center Stage," Crowell & Moring's Data Law Insights (June 26, 2014). Author: Jeane A. Thomas. "Data Law Trends & Developments: E-Discovery, Privacy, Cybersecurity & Information Governance," a Crowell & Moring LLP publication (June 2014). Contributors. "Judge Grewal Takes a Reasonable Approach to Defining the Scope of the Duty to Preserve," Crowell & Moring's E-Discovery Law Insights (July 31, 2013). Author: Jeane A. Thomas. "ITC Issues Final Rules on E-Discovery, Including Specific Limitations on Production of ESI, and Mechanism for Addressing Inadvertent Disclosure of Privileged Documents," Crowell & Moring's E-Discovery Law Insights (May 29, 2013). Co-Authors: Amir Katz and Jeane A. Thomas. "When Should Discovery-Related Sanctions Be Imposed on Parties, Inside Counsel and/or Outside Counsel?" Crowell & Moring's E-Discovery Law Insights (May 21, 2013). Author: Jeane A. Thomas. "Pippins v. KPMG Highlights the Need for Proportionality and Reasonableness Standards," Legal Hold Pro Signature Paper: Preservation and Proportionality, Eds. Brad Harris and Ron Hedges (November 2011). Author: Jeane A. Thomas. "Using Price Discrimination to Define Relevant Markets: Lessons from Dean Foods," ABA Antitrust Section Agriculture and Food Committee e-Bulletin, Vol. 2, No. 1 (Summer 2011). Co-Authors: Jeane A. Thomas and Elliot Golding. "Victor Stanley Revisited: Judge Grimm's Analysis of the Law Governing Spoliation Sanctions," Digital Discovery & E-Evidence, Vol. 10, No. 17, BNA, Inc. (September 17, 2010). Co-Authors: Jeane A. Thomas and Ronald J. Hedges. "Mohawk Industries and E-Discovery," Digital Discovery & E-Evidence, BNA, Inc., Vol. 10, No. 1 (January 1, 2010). Co-Authors: Ronald J. Hedges and Jeane A. Thomas. "Cooperative Process for Minimizing Discovery Burden, Expense," ARMA Journal (April 2009). Co-Authors: Jeane A. Thomas and Ronald J. Hedges. "Reducing the costs of privilege reviews and logs," The National Law Journal, In Focus: E-Discovery (March 23, 2009). Co-Authors: Jeane A. Thomas, David D. Cross and Courtney Ingraffia Barton. "The First Steps in a Legal Crisis," Legal Times, Vol. XXXI, No. 4 (January 28, 2008). Co-Authors: Jeane A. Thomas and James L. Michalowicz. "Lessons Learned," Law Firm, Inc. (March/April 2006). Co-Authors: Jeane A. Thomas and Benjamin C. Hawksworth. Federal Trade Commission’s Report On Competition Policy In The World of B2B Marketplaces, (October 27, 2000). Co-Authors: Jeane A. Thomas and Monya A. Phillip. Federal Trade Commission B2B Workshop, (June 29-30, 2000). Co-Authors: Wm. Randolph Smith, Jeane A. Thomas and Monya A. Phillip. "Federal Trade Commission Issues Policy Statement on Unfair Methods of Competition," Antitrust Law Alert (August 14, 2015). Contacts: Jeane A. Thomas, CIPP/E, Lisa Kimmel, Ph.D.
Apr.08.2014 Crowell & Moring Named Finalist in Global Competition Review's Fourth Annual "GCR Awards"